Xoom has consistently been the US expat and tourist’s best way to send money to Argentina and take advantage of the discrepancy between the official exchange rate and the blue market exchange rate. For example, today’s official rate is $4.913, the blue market rate is $6.780 and Xoom is paying $6.313 before fees. 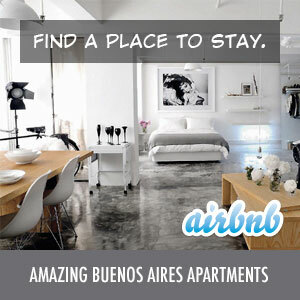 We’re seeing more and more people choosing this option to extend their dollars’ purchasing power in Buenos Aires. Of course, in Argentina things can change in a moment’s notice and Xoom and More Money Argentina (their local transfer partner), just announced that the sending limit has been lowered from U$S 2,999 per transaction to U$S 2,000 per transaction due to “new regulations.” At this time it appears that the 30 day limit of U$S 6000 has not changed. Unfortunately this means that you’ll be paying more fees to Xoom if you regularly moved larger amounts. It’s a bit of a process but still very much worthwhile for the favorable exchange rate. And if you use our link, Xoom will send both of us a $25 Amazon.com gift card after your first transfer.